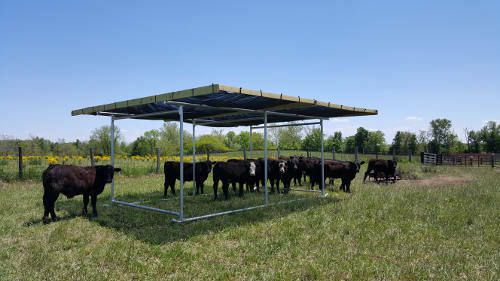 We offer a wide selection of hay feeders for horses and cattle hay feeders as well as portable run in horse shelters and other portable shade structures. 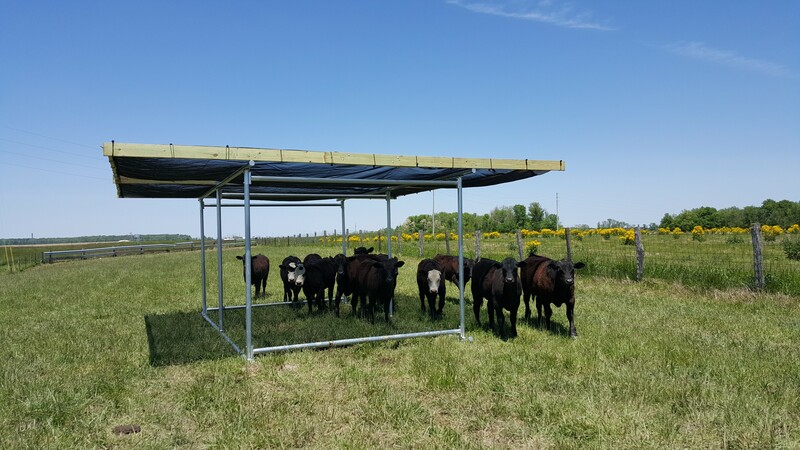 Our patented hay saver feeders are designed to save you time and money and our run in horse shelters and shade structures are built to effectively protect your livestock from the elements. Call 812-614-4364 or request more information. Save with our “Hay Saver” Hay Feeders! Klene Pipe’s patented “Hay Saver” Feeders save you from losing hay and losing money! 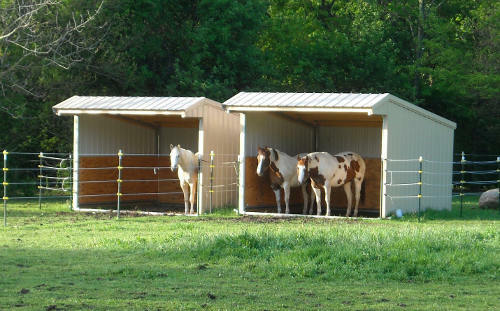 Our hay feeders prevent loss of hay and have an average life span of well over 20 years! 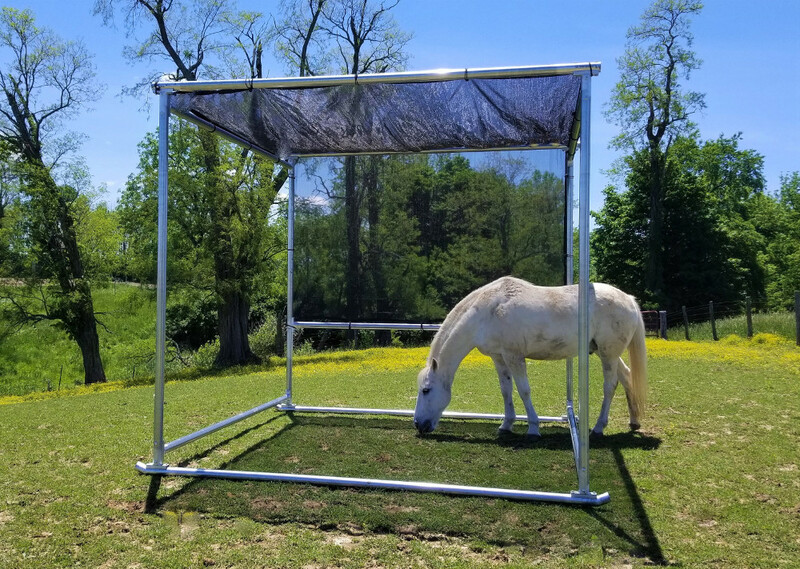 The toughest run in horse shelter building frame that you will find anywhere that can withstand the abuse that horses and livestock can dish out! 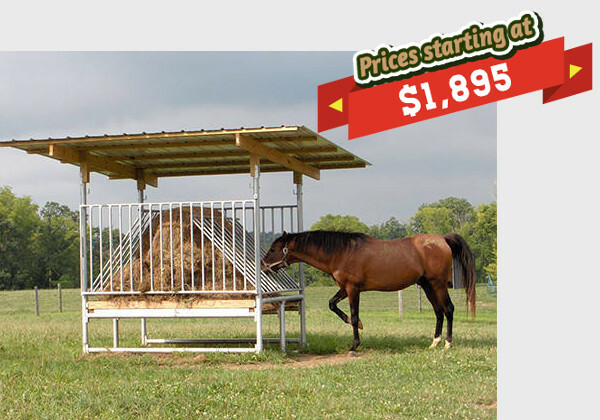 We offer a selection of combination hay and feed bunk feeders. Durable and designed to endure many years despite time and weather.